Have you made the boots? 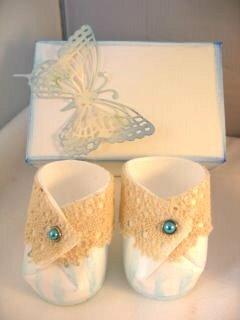 Well here is a Baby Bootees Box to send them in. 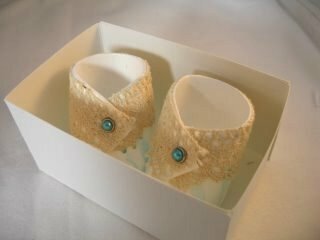 If you have had a go at making the Baby Bootees then you are going to need a box to send them in. 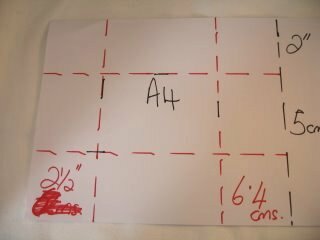 It isn't a difficult project but the box needs to be deep enough to house the boots. And the base of the box will need to made slightly smaller than the top so that it will fit inside it. 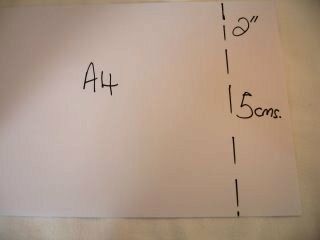 Take two A4 cards and start with the top. 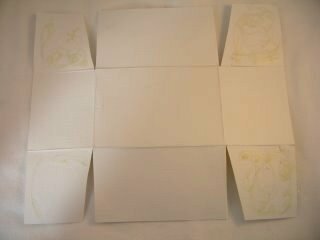 Once you have done this score and fold all the sides inwards. Using a wet glue apply some to each of the cut flaps, you can just see the glue in the photo. Fold the flaps inside the box and use paper-clips to hold them in place while the glue dries. 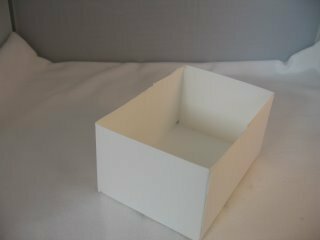 Go ahead and make the Base for the box in the same way but remember to make it slightly smaller than the top or it won't fit inside. And there you will have your pretty Bootees Gift Box. This little project can be used for a baby shower, either to give to the recipient or to announce your own party. 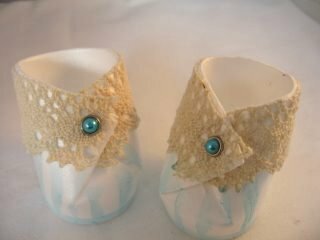 For a Christening, or to welcome a new arrival. It could even be for a First Birthday with an extra gift added to the inside of the boot.